In the midst of the Occupy movement, Barbara Andersen begins spamming people indiscriminately with ukulele covers of sentimental songs. A series of inappropriate intimacies ensues, including an erotically charged correspondence and then collaboration with an extraordinarily gifted and troubled musician living in Germany. 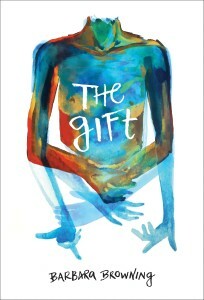 The Gift is a sometimes funny, sometimes catastrophically sad story of performance art, music, dance, and our attempts and failures to make contact. 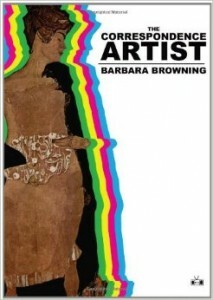 Barbara Browning has a PhD from Yale in comparative literature. 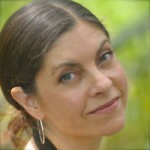 She teaches in the Department of Performance Studies at the Tisch School of the Arts, NYU. Six months after Tye’s “Performance for Women & Performance,” about one thousand people Occupied Wall Street, which is to say, on September 17, 2011, protesters marched through the financial district and settled into Zuccotti Park. The encampment remained in place until shortly after midnight on November 15, when the NYPD gave notice that protesters would be removed due to ostensibly unsanitary conditions. A little while later, they cleared everybody out. I took the package to the post office at Eleventh Street and Fourth Avenue. There was a long line because of the upcoming holidays. As I was standing in line, I saw a sign explaining what kinds of things you couldn’t send via airmail: obviously really hazardous materials like lighter fluid and firearms but also alcohol, perfume, prescription drugs, and tobacco. Hmm, perfume. But my flask was so tiny, and it was all wrapped up in the iPod cozy, plus the package was sturdy and all taped up. I couldn’t imagine the tiny vial would break open, and if it did, there were just a few drops in there—they’d surely evaporate right away. When I got up to the window, the clerk looked humorless. She weighed my parcel and looked me dead in the eye: “Any perfume in there?” I looked her dead in the eye and said no. She put the necessary postage on the package and tossed it into a bin.